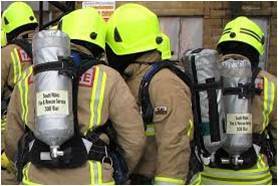 The project is currently going well, and the second paper was presented at the last NIC meeting, that was held on the 14 October 2014 at Llandrindod Wells Fire Station. The second paper has identified a number of crewing arrangement systems that will be considered by each Fire Authority for further progress and investigation. The second paper has been uploaded to the NIC library /Document section. The project has considered the potential implications of each model on the community, salary budgets, staff numbers and grey book terms and conditions.